The VoicingHan project is an avatar storytelling platform designed for use by patients with advanced cancer receiving palliative care at Virginia Commonwealth University’s Massey Cancer Center ( funded by Massey Cancer Center Grant, since June 2018). A Korean concept, “Han” reflects a paradoxical state of consciousness combining an extreme state of grief with a great hope for overcoming a seemingly impossible situation. We situate Han in a special and holistic cognition found among patients and staff members in the palliative care program who confront the critical issue of mortality, and the human dilemma in connecting our physical and spiritual domains. 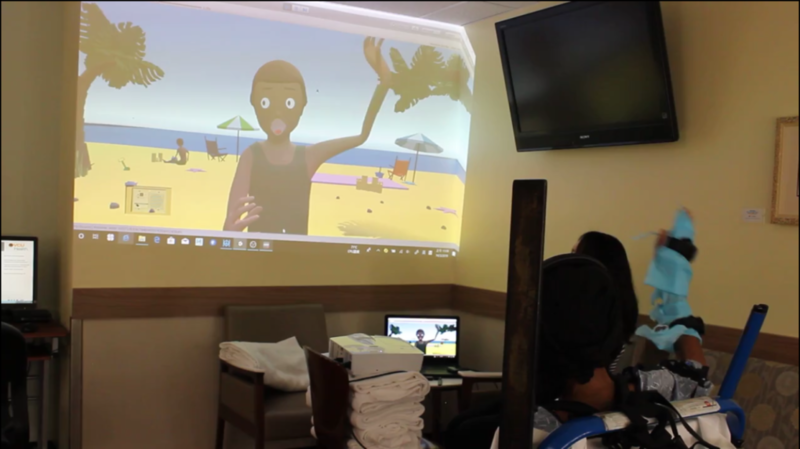 VoicingHan supports terminally ill patients by using oral storytelling as an artistic medium, facilitating patients’ interactive performances while promoting autonomous creativity to support “patient activation” or “patient-centered care.” In addition, the Avatar video, sound data of stories, and motion capture data will remain as an important patient and family legacy.